Snow White and the Huntsman Quotes: Not Quite the Fairest! Snow White maybe a classic tale but sadly Snow White and the Huntsman Quotes are not an instant classic. Here’s a quick rundown of the plot; after Snow White’s mother dies, her father, King Magnus gets enchanted by Ravenna’s beauty after rescuing her from the Dark Army and quickly marries her. On their wedding night Ravenna, who is in fact a powerful sorceress and the Dark Army’s master, kills Magnus and keeps Snow White prisoner. After Ravenna has conquered several of England’s kingdoms and plans to take over the entire Continent, she learns from her Magic Mirror that she will be overthrown by Snow White. So Ravenna plans to eliminate Snow White by consuming her heart in order to achieve immortality. When Snow White manages to escape she ends up in the Dark Forest, Ravenna then summons The Huntsman to kill her, but he takes pity on her and instead helps her escape. After teaming up with several dwarves and her childhood love Prince William, Snow White then begins a war to kill Ravenna. 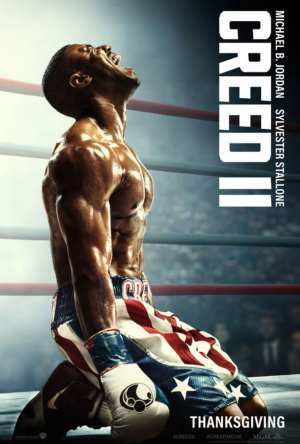 Verdict: The movie is richly dark and ambitious but somehow comes off as unbalanced with lots of episodic moments that don’t seem to flow together and only a scattering of good moments to elevate it. However, with all its failings, it is visually exquisite-looking and an impressive debut from director, Rupert Sanders. The Huntsman: [voice over] Once upon a time, in deep winter, a queen was admiring the falling snow, when she saw a rose blooming in defiance of the cold. Reaching for it, she pricked her finger and three drops of blood fell. And because the red seemed so alive against the white, she thought, if only I had a child as white as snow, lips as red as blood, hair as black as a raven’s wings and all of the strength of that rose. Soon after, a daughter was born to the queen and was named, Snow White. And she was adored throughout the kingdom, as much for her defiance as for her beauty. Young Snow White: We found it in the woods, it’s injured, mother. Queen Eleanor: It must have broken its wing. Don’t worry, it will heal in time. Young Snow White: I’ll look after it. Queen Eleanor: You possess rare beauty, my love. Here. Queen Eleanor: Never lose it. It will serve you well when you become queen. The Huntsman: [voice over] The next winter was the harshest in memory as Snow White’s mother passed away. The king was inconsolable. Taking advantage of his grief, a dark and mysterious army appeared and lured him into battle. The Huntsman: [voice over] The Dark Army was defeated, but what would soon come to pass was far darker. King Magnus: Fear not, you will come to no harm from me or my men. What is your name, my lady? The Huntsman: [voice over] So enchanted by her beauty was the king, that he forgot for the first time his broken heart, and the very next day, she would become his wife. Young Snow White: You’re so beautiful. Ravenna: That’s kind, child. Especially when it is said that yours is the face of true beauty in this kingdom. Come. Ravenna: This all must be difficult for you, I too lost my mother when I was a young girl. I can never take your mother’s place, ever. But I feel that you and I are bound. I feel it there, your heart. King Magnus: You’ll be the ruin of me. Ravenna: I was ruined by a king like you once. I replaced his queen, an old woman. And in time, I too would have been replaced. Men use women, they ruin us and when they are finished with us they throw us to their dogs like scraps. Ravenna: When a woman stays young and beautiful, the world is hers. Ravenna: First I will take your life, my lord. And then I’ll take your thrown. The Huntsman: [voice over] She had tricked her way into the kingdom with a phantom army. She now welcomed a very real one. Ravenna: Mirror, mirror on the wall. Who’s the fairest of them all? Mirror Man: It is you, my queen. Yet another kingdom falls to your glory. Is there no end to your power and beauty? The Huntsman: [voice over] So poisonous was the reign of Ravenna that nature turned on itself and people turned on each other. The land died, and with it, hope. In all that time she kept Snow White imprisoned, high up in the north tower. Snow White: What is your name? Snow White: What happened to you? Greta: All the girls in our village were taken. I was trying to reach Duke Hammond’s castle when I was caught. Snow White: Hammond? Is he alive? Does he still fight in my father’s name? Greta: You’re the king’s daughter? The night the king died, we were told all in the castle were slain. Snow White: And William, is the Duke’s son still alive? Greta: I don’t know, princess. What will they do to me? Ravenna: Do you remember when we were children begging for scraps, like those wretches? Ravenna: Am I not kinder? Ravenna: Obviously a debt owed to your mother. There was a time I would have lost my heart to a face like yours. And you, no doubt, would have broken it. Ravenna: You would kill your queen? Ravenna: Such courage, such beauty. How strong is your heart? Ravenna: Leave him! Let him return to the Duke and speak of the generosity of his queen. Finn: Magic comes at a lofty price. Ravenna: And the expense grows. Finn: Shh. I have something for what ails you. Ravenna: Mirror, mirror on the wall. Who is fairest of them all? Mirror Man: My queen, on this day, one has come of age, fairer even than you. She is the reason your power wain. Ravenna: Snow White? She is my undoing? I should have killed her when she was a child. Mirror Man: Be warned, her innocence and purity is all that can destroy you. But she is also your salvation, queen. Take her heart in your hand and you shall never again need to consume youth. You shall never again weaken or age. Ravenna: Brother, bring me the king’s daughter. Finn: Did I wake you? Finn: You always awake when I watch you. Snow White: You’ve never come in before. Finn: My sister won’t allow it. She wants you all to herself. Snow White: I’m afraid of her. Finn: And not of me? Finn: Fear not, princess, you will never again be locked in this cell. Snow White: What does she want from me? Ravenna: How is that an innocent young girl makes a fool of my brother? And only with a nail. If she’d had a sword, she’d have taken my kingdom. Bring me the king’s daughter, and you let her slip, right through your tiny little fingers! How? You swore that you would protect me! You swore! Ravenna: Now there’s no one I can trust. No one! There’s no loyalty. No loyalty. None! Not even from you! Where is she? Finn: She was chased into the Dark Forest, where the men lost her. Ravenna: She’s no good to me in the Dark Forest! Lost! Ravenna: I need her heart! You failed me, Finn! Finn: [shouting] Have I not given all to you? Ravenna: Have I not given you all? Ravenna: Shh. Quite. I have no powers in the Dark Forest. You have to find me someone, someone who knows it. Someone who can hunt her. Ravenna: My brother tells me you are a widower. A drunkard, and one of few who has ventured into the Dark Forest. Ravenna: One of my prisoners has escaped there. The Huntsman: Well then he’s dead. The Huntsman: Then she is certainly dead. Ravenna: Find her, bring her to me. The Huntsman: No, I’ve been to that forest, I’m not going back. Ravenna: You will be rewarded handsomely. The Huntsman: What good is gold to me if I’m lying dead with crows picking at my eyes? The Huntsman: Why is she of such value? Ravenna: That is none of your concern. The Huntsman: I’ll determine what concerns me, thank you. Ravenna: You will do this for me, Huntsman! The Huntsman: And if I refuse? The Huntsman: Do me the favor, I beg of you. Ravenna: So you wish to be reunited with your beloved? The Huntsman: Do not speak of my wife. Ravenna: You miss her. What would you give to see her again? You know of my powers, bring me the girl, and I will bring back your wife. The Huntsman: Nothing can bring her back. Ravenna: I can. A life, for a life. Snow White: Will you help me? Please. Please! The queen’s going to kill me. The Huntsman: I’m sure she is. Snow White: She’s going to rip out my heart. Finn: Quick work. Well done, Huntsman. Hand her over. The Huntsman: What do you intend to do with her? Finn: Why do you care? The Huntsman: You want her? Give me what I was promised. Finn: You did your job well. Now keep your word. Snow White: He’ll kill us both. The Huntsman: I said, shut up! The Huntsman: I’ll keep my word when the queen keeps hers! Where’s my wife? Snow White: He’s going to betray you. Finn: My sister has many powers. She can take life away, or sustain it. But she can’t bring your wife back from the dead, you fool! 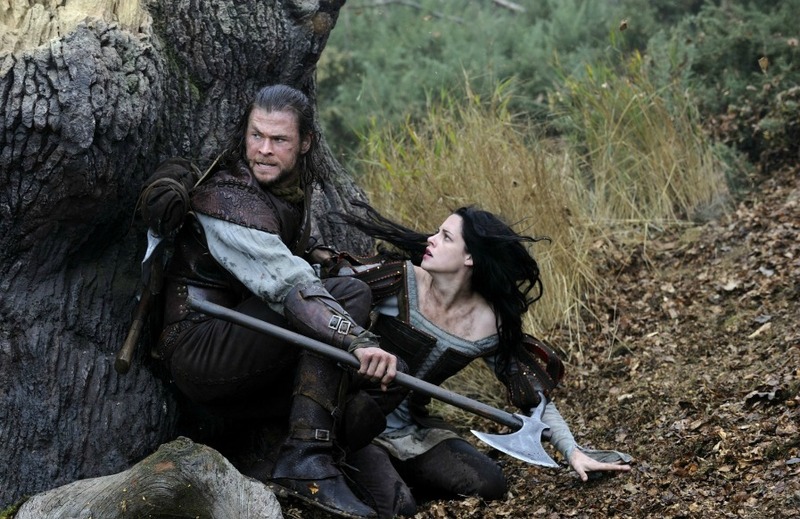 The Huntsman: I want her back! Finn: I will find you! The Huntsman: Shh. Shh. Be quite. Alright? The Huntsman: Hey! What the hell’s going on? Who are you? Why does the queen want you dead? Snow White: She wants everyone dead, all of us! The Huntsman: What makes you so damn valuable? Snow White: You should know, you’re the one hunting me! The Huntsman: Oh, forget it! The Huntsman: I should have never got involved in the queen’s business. Snow White: Where are you going? The Huntsman: Getting away from you, you’re trouble, is what you are. Snow White: I need to get to the Duke’s castle. There’s an army there. The Huntsman: What, the Duke’s army? The Huntsman: Bunch of farmers and milkmaids with pitchforks. I know sheep that have more fight in them. Snow White: I’m valuable. That’s why you’re here, isn’t it? If you return without me, you’re dead. If you leave me, I’m dead. The Huntsman: Just for arguments sake, how much reward? Hmm? Snow White: However much is enough. The Huntsman: Who are you? Snow White: Maybe you should have asked the queen that. The Huntsman: I don’t trust you. Snow White: I’ve given you my word. The Huntsman: I still don’t trust you. But you have a deal. The Huntsman: Give me that, before you lose a finger. Duke Hammond: We have word of the princess. Ravenna has kept her all these years. Thomas: She escaped the castle into the Dark Forest. William I’m going after her. Duke Hammond: You don’t know if she survived. Duke Hammond: You ventured beyond the castle walls again, disobeying my orders. We’re all that’s left, don’t you understand? I cannot afford to lose any more of my men. Duke Hammond: I will not lose my only son. You don’t know the Dark Forest. William: Then I’ll find somebody who does. I will not abandon her again a second time. The Huntsman: The forest gains strength from your weakness. Snow White: Do you drink to drown your sorrows or your conscience? The Huntsman: What concern is it of yours why I drink? Snow White: I suppose a man’s sorrows are his own. The Huntsman: What does a young girl like you know about sorrow? The Huntsman: Don’t flatter yourself. Now stay close. William: Do you need a bowman? Finn: I have a bowman. William: I said, do you need a bowman? The Huntsman: Here, I wanna show you something. The Huntsman: Which is your lead foot? The Huntsman: Right, someone comes at you, you raise this arm up, you block and you use your strength against him. The Huntsman: You’re small, so wait until they’re close and you drive it through their heart, to the hilt. You understand? You do not hesitate, and you look in their eyes, and do not pull it out until you see their soul. Snow White: I couldn’t do that. The Huntsman: Well, you might not have a choice. Snow White: Is this the edge of the Dark Forest? Snow White: What is it? The Huntsman: I told you to run! Snow White: If I had you’d be dead. The Huntsman: You got nothing to drink? Snow White: You have traveled far, carried a great burden. The Huntsman: I’ve had worse jobs. Anyway, she’s not that heavy. Snow White: You don’t know who she is. The Huntsman: What do you mean? The Huntsman: Why didn’t you tell me? Cause I’d think it was too difficult a task? You’d be right. Snow White: I didn’t trust you. I’m sorry. Anna: Our scars protect us. Without beauty we are worthless to the queen. It’s a sacrifice we made so we could raise our children in peace, while their fathers are at war. And you, your sacrifice will come. You must rest. Anna: How can you desert her when you know the truth? The Huntsman: Aye, I know the truth. That’s why she should be as far away from me as possible. Anything I ever cared about was taken away from me. Not this time, she’s safer here with you. Ravenna’s Mother: You’re beauty is all that can save you Ravenna. This spell will make your beauty your power and protection. By first blood it is done. Here, drink! Drink! Ravenna’s Mother: But we warned, by fairest blood, this spell can be undone. Snow White: You left us! We should never have been there! The Huntsman: Hey, look at me. I’ll take you to Duke Hammond’s, okay? Alright? You have my word. Beith: This is our lucky day. The Huntsman: Oh, no! Dwarves. Beith: The hedgepig I loathe most in the world, lands right in our lap. The Huntsman: Come on, Beith. Is this how you treat a friend? Beith: Oh! No! No! No, you buttock! This is how I treat a friend. Beith: Mm. And who’s this, hey? Is it an errant apprentice or captive? Snow White: This man is helping me. Coll: We should kill ’em both! Duir: Yeah, he’s caused us nothing but trouble. Coll: Skewer him and leave her to rot. I don’t like killing girls. Muir: Leave her alone, Duir. Quert: He’s got nothing. One silver coin and an empty codpiece. Gort: Two days we sit here, what for? Nothing? Nion: We should have stayed by the river! What a waste of time! The Huntsman: Cut us down, Beith. I have gold, I can pay you. It’s just not here, it’s hidden back in the woods. Nion: Shut your ugly mug, Huntsman! If you had any pennies, you would have pissed it away on meat by now! The Huntsman: Cut us down and I’ll show you. Nion: Yeah, pull the other one, you lying dangler! Snow White: Tell them the truth, Huntsman. There’s no time! The Huntsman: I have to take this girl to Hammond’s. She’s not safe here. Gort: Oh, well my little heart bleeds for you. We should chop ’em up and feed ’em to the wolves. The Huntsman: She’s worth a lot of gold to me, which I’m happy to share with you, stupid little dwarves! Snow White: Gold is worth nothing to you if you’re all dead! The queen’s men hunt us! They’re very close! Snow White: You have love for the queen. Beith: Oh, we have no love for the queen! Snow White: Then you fight against her. Quert: No one fights against the queen. Coll: We lost everything when the king died. Duir: We fight only for ourselves. Snow White: My father was King Magnus. Beith: Muir, does she speak the truth? Muir: Yes, she is of the blood. She’s destined, Beith. I see an end to the darkness. Gort: Here. Good thing there’s plenty of moss about. Snow White: Where are we? Gus: They call it ‘Sanctuary’, me lady. It’s the home of the fairies. Coll: Here, would you really have killed her? Muir: That seat’s not taken, if that’s what you were about to ask. Snow White: I want to thank you. Muir: It’s only a log. There’s no need to thank me. Snow White: No, for before. For defending me. Muir: You’re father was a good man. The kingdom prospered, our people prospered. Snow White: There were more of you? Gort: Yeah. The men you see before you, were many many more, went deep into the caves. We were noble gold miners, because we could see the light in the darkness. Gus. Gus! You were just a boy, but you remember? When we returned to the surface, there was nothing. The land was black and everything, everyone was gone. It was dead. Muir: That was the month your father died. Snow White: I’m very sorry. Muir: As am I, princess. As am I.
Muir: Son, play a happy song. Nion: I don’t trust her and I don’t believe her, no matter what Muir says. Gort: I feel peculiar, queer almost. Gort: I’m tingling all over, but I feel lovely. I feel lovely. How’s your gout? Nion: Gout? Well…it’s a bit better. Gort: Here, this is her doing. Nion: How much have you had to drink? Gort: No, it was the mushrooms. Beith: Still fleecing yourself our bevy, Huntsman? The Huntsman: What do you say we let bygones be bygones? Beith: So what’s in it for you, hey? The Huntsman: What are you talking about? Beith: I’m talking about the girl. Beith: Is it really just the gold? The Huntsman: I’m not sure, Beith. If I had any sense I’d have abandoned her long ago. Beith: Muir says she’s destined. Questions is, Huntsman, for what? Hm? Beith: No, no, no, Huntsman! No one’s ever seen this before. Quert: The White Heart bows before the princess, father. Muir: You have eyes, Huntsman, but you do not see. You, who have been with her the longest. She is life itself, she will heal the land. She is the one. Can’t you feel it? Are your ailments not gone? Gold or no gold, where she leads, I follow. Finn: I admire your fight, Huntsman. Your wife was the same. The Huntsman: What do you know of my wife? Finn: I remember them all. Finn: Especially the ones with fight! Finn: Now you can beg her forgiveness in the other world. Snow White: Gus! Gus! Gus, breath. Gus, breath. Gus: They won’t leave you, miss. Gort: We used to have pride, and now we just pilfer and drink and drink about when we didn’t. Every man here would die for the chance of becoming that man again. So we follow you, princess. In life and in death. And we shall have our pride again. On Gus’ soul, this I swear. William: I’m sorry I left you. William: If I’d thought you were alive, I would have come for you. Snow White: We were children, William. You’re here now. Snow White: William. It’s as if nothing’s changed here. The world seems beautiful again. William: It will be, when you are queen. The people of this kingdom hate Ravenna with every fiber. Snow White: I used to hate her, but now I feel only sorrow. William: Once people find out you’re alive, they’ll rise up in your name. Snow White: It takes more than a name. William: You are your father’s daughter, the rightful heir. If I had a choice, I’d take you far away, keep you safe by my side. But I have a duty, and so do you. Snow White: How do I inspire? How will I lead men? William: The way you led me when we were children. I followed you everywhere. Ran when you’d call. I would have done anything for you. Snow White: That’s not how I remember it. Snow White: No? We used to fight, all the time, and argue. Snow White: I remember that trick. William: You see, child, love always betrays us. Ravenna: By fairest blood it was done, and only by fairest blood can it be undone. You were the only one who could break the spell and destroy me. You’re the only one pure enough to save me. You don’t even realize how lucky you are to never to know what it is to grow old! The Huntsman: What are you looking at? Do something! You’re dwarves, healers! Save her! Help her! Muir: No. This cannot be. Gort: What will we do, Beith? The Huntsman: Well, here you are, all dressed up like you’re about to wake up and give me more grief. Am I right? You deserved better. I once had a wife, princess. Sara was her name. When I came back from the war I carried with me the stench of death and the anger of the lost. I wasn’t worth saving, that’s for sure, but she did so anyway. And I loved her so much. I loved her more than anyone and anything, and then I let her out of my sight and she was gone. And I became myself again, a self I never cared for. The Huntsman: Until you, cause you remind me of her. Her heart, her spirit. But now, you too have gone. You both deserved better and I’m so sorry I failed you. I’m so sorry. But you be a queen in heaven now and sit among the angels. William: She died for us! For our cause! We cannot just hide behind these walls and watch this land die with her! Duke Hammond: Your grief clouds your judgment, my son. William: My grief makes me see clearer, father! Duke Hammond: My duty is to protect those people who’ve come to me for help. I will defend them till the last drop of my blood, but I will not abandon these walls. Muir: The spell is lifted. Duke Hammond: Death has favored you. Snow White: Death favors no man. We must ride like thundering waves under the tented battle flag of my father. Duke Hammond: You must rest. Snow White: We have rested long enough. Snow White: Frost to fire, to fire to frost. Snow White: Iron will melt, but it will writhe inside of itself! All these years, all I’ve known is darkness. But I have never seen a brighter light than when my eyes just opened. And I know that light burns in all of you! Those embers must turn to flame. Iron into sword! I will become your weapon! Forged with a fierce fire that I know is in your hearts! For I have seen what she sees, I know what she knows. I can kill her. And I’d rather die today than live another day of this death! And who will ride with me? Who will be my brother? Black Knight General: Amassed on the cliffs. They’re numbers have swollen. They say the king’s standard flies again. Ravenna: Then let them come. Let them break their skulls on these stone walls and bring me my prize. Nion: We’re promised gold, and what do we get? Poo! Gort: Wurgh! That looks like one of mine! The Huntsman: So you’re back from the dead and instigating the masses. You look very fetching in mail. Ravenna: Come and avenge your father, who was too weak to raise his sword. Ravenna: Go on, watch them die! Ravenna: How does it feel, knowing you were the one who led them to their deaths? You see, we’re not that different, are we? Snow White: I’m everything you’re not! Ravenna: You cannot defeat me! I’ve lived twenty lives. Ravaged entire kingdoms. I have been given powers that you could not even fathom! I will never stop. Never! I will give this retched world the queen it deserves! Ravenna: By fairest blood it is done! Snow White: And only by fairest blood is it undone. Snow White: You can’t have my blood. Priest: In the name of all that is good and just in this land, I crown you queen. Beith: Hail to the queen!